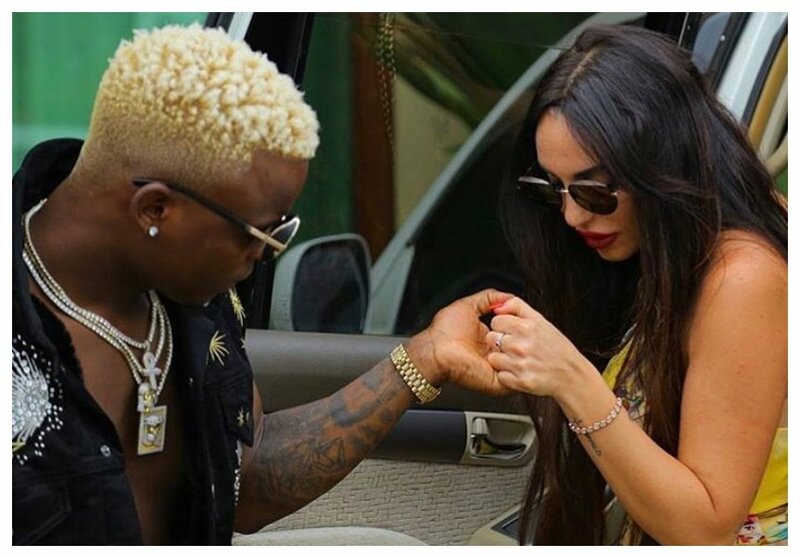 Harmonize’s Italian girlfriend Sarah Michelotti caused drama on social media when she unleashed a barrage of insults accusing the singer of cheating on her. The ‘Kwa Ngwaru’ hit maker rubbed his girlfriend the wrong way after he was seen embracing Nigerian TV host Nancy Isime during his visit to West Africa. Harmonize has since talked about the shocking incident during an interview with Wasafi TV. He said Sarah is always insecure whenever she sees him with female acquaintances. Harmonize says Sarah needs to understand that he is a celebrity and that his profession means that he regularly meets and hang out with a lot of women. “Unapoamua kuwa na mtu unatakiwa ujue huyo mtu ni wa aina gani, anafanya kazi gani, ukishajua hivyo unakuwa ni rahisi zaidi ku-deal naye. Nakutana na watangazaji, wasanii inatakiwa ni badilishane nao mawazo, sasa ukiwa unaendekeza kila saa masuala ya kimahusiano inakuwa unanirudisha nyuma kwa namna moja au nyingine,” said Harmonize.